An idea of a roof top romantic dinner with a little koi pond fountain to greet you on your way up and the serenity of the buddha statues along with the open space and roof top dining makes the place peaceful and ideal for lovely meals with your loved ones. This was the first impression of Azzuri bay for us. 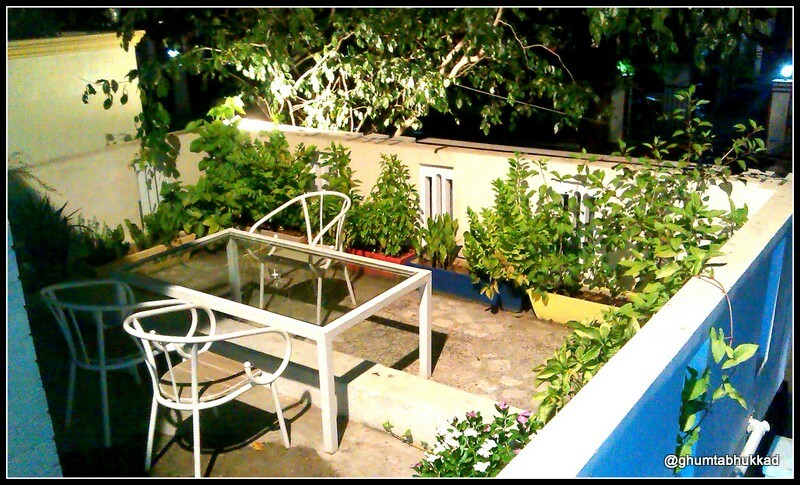 A very smartly designed place in Adyar, Gandhi nagar. 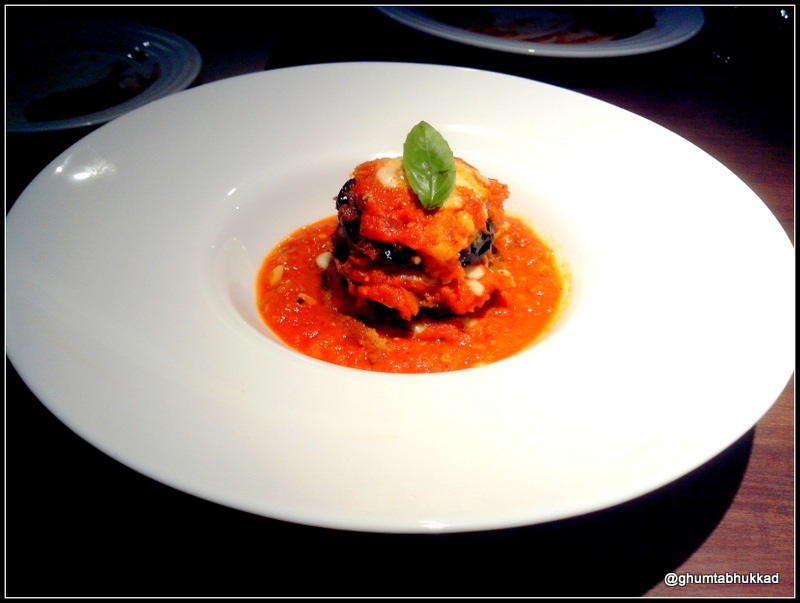 They serve Pan Asian , Mediterrenian and Italian food and Chettinadu . Their menu is a huge list to spoil you with choice. We went there for dinner without reservation and found a spot instantly but being only two of us we were given the high chair option where they reserved their more comfortable and prime tables for the a larger group. The food there is pretty great but so far i can only vouch for mostly pan asian cuisine and a little about their pizza and pasta i had earlier much before we went for the review . 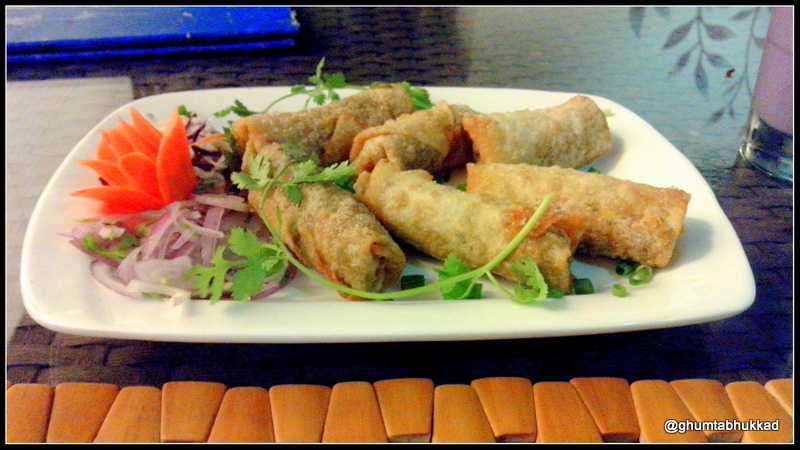 Spicy Vegetable Thai Rolls – as the name explains it vegetables rolled in wonton wraps and deep fried served with a tiny dash decorative salad and three delectable dips. There was a sauce with red chilies finely chopped in a sweet syrupy base, a second one was a peanuty chilly sauce and a third with ripe mango sauce with seasoning , spruced up the simple fried spring roll to a whole new level. 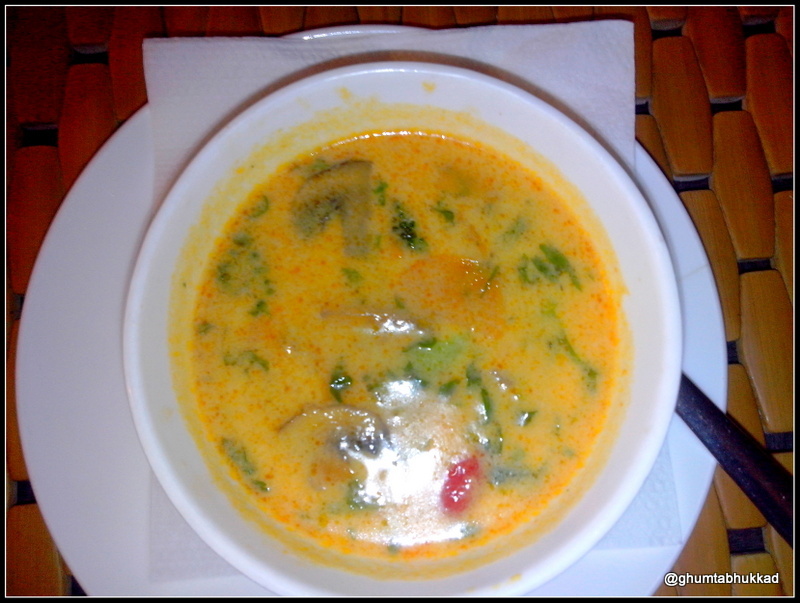 Tom Kha Phad – a very thai soup with vegetable and the thai must have’s coconut milk , galangal a dash of lime and coriander. 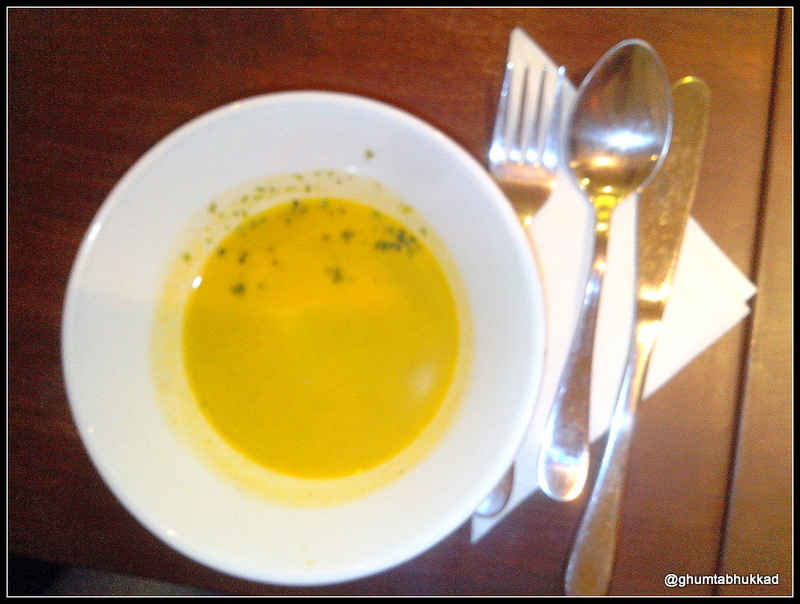 we both loved it and the portions were very filing even though we had divided one soup by two. Now, before we move to the main course i must say we were somewhat full because along with the soup and starter we had downed it with a huge glass of blueberry milkshake and cranberry milkshake, both of which were yummy, being sweet with real fruits and a dollop of vanilla ice cream in it and therefore our going for the second glass instead of following a more traditional path to main course and then dessert. We skipped dessert altogether and stuck to just one main course instead of ordering individually . 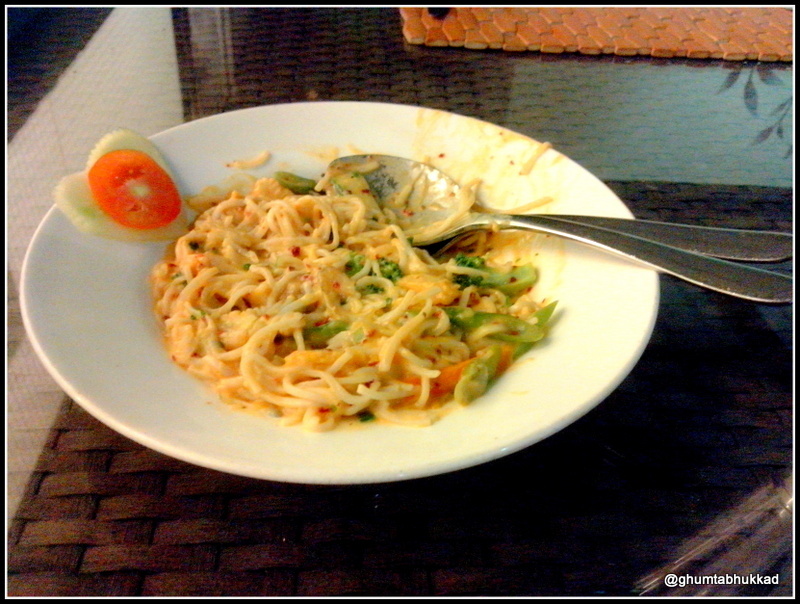 Burmese Curry Noodles – because it came with its own curry on the side .they made it specially vegetarian on our request. The curry on the side was accompanied with fried onions and garlic and the curry was just an extension of the sauce the noodle was made in instead of being something a little different as we had expected. Also the whole thing tasted like a version of creamy thai curry instead of a more burmese version that the name suggested. 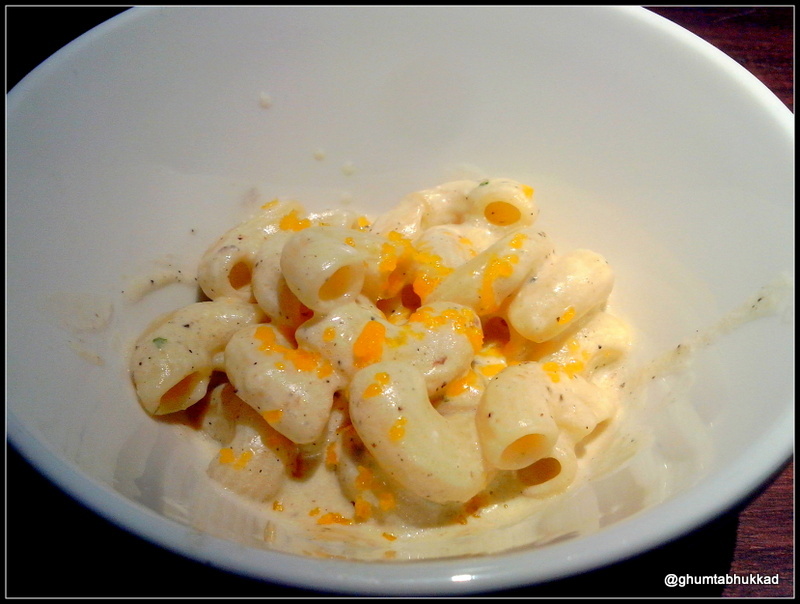 Lot of room for improvement on this dish and they could have it a more fun dish by including some more accompaniments. It’s been long time since we knew this place and always wanted to go there to satisfy our gujju food appetite , specially the Gujarati snacks which i have grown up eating. 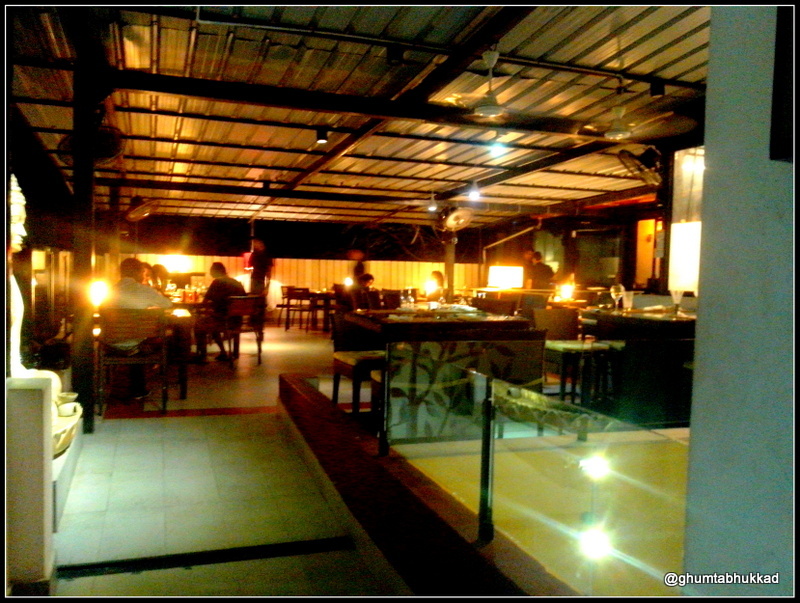 The restaurant called Amdavadi near Residency towers in Tnagar, Chennai. 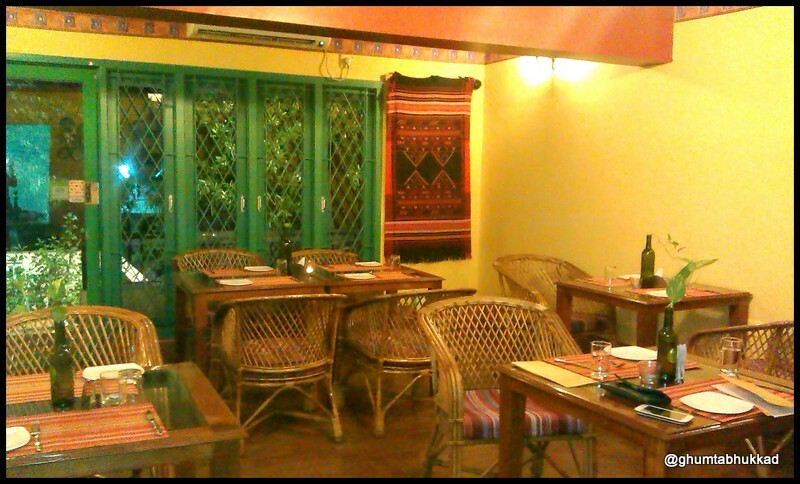 A quiet place,wonderfully designed and its very rare that you are going to a Gujarati restaurant and place is so quiet.That is the credit we must give to the people who designed the place. They have done a commendable job . 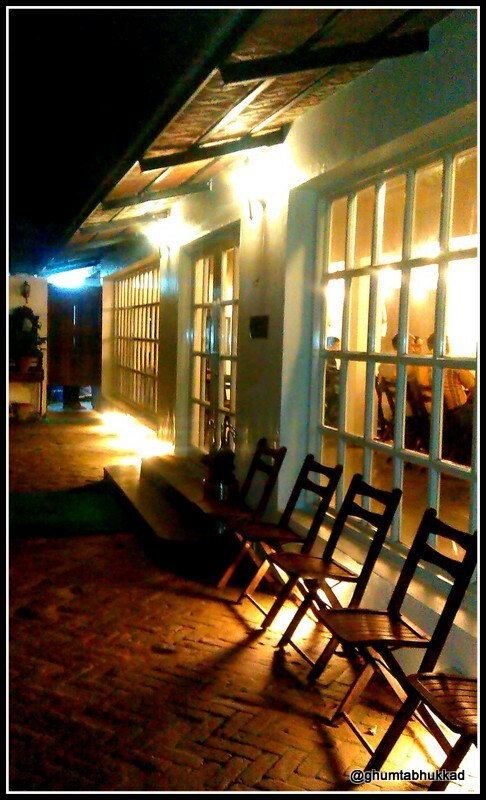 When you enter the place the ambiance is good , they have given a semi antique yet fresh look to the place. Wooden chair with marble as a table top, the place is painted in a white which makes it peaceful and soothing with a view of clever greenery outside. Once we settled down we got 2 menus one is of the Thali which was having sweet , snack and a refreshing drink, This option we found was over priced, so we selected our food from the other menu which was having a list of authentic Gujarati snacks. 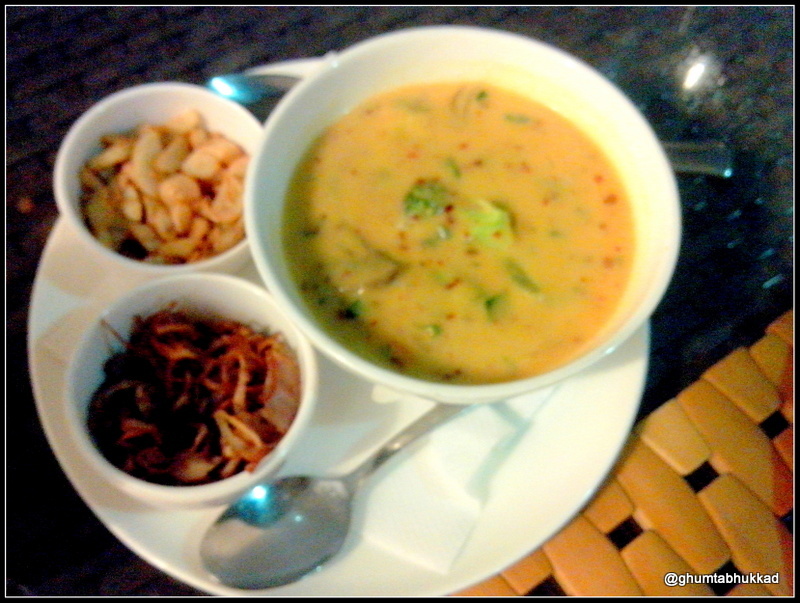 All the items are very well explained so if you are new to Gujarati cuisine you will get a fair idea before ordering. 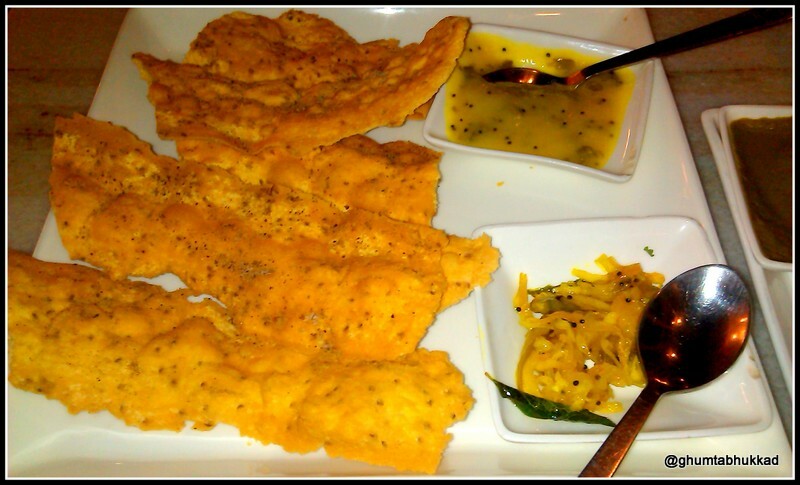 Khaman – Exactly we call it Nylon Khaman in Gujarat,It was tasty , sweet,spongy and perfect texture as expected. Methi Gota -I felt it was bit over fried but the feel of methi was there and black pepper which made it taste good and perfect. 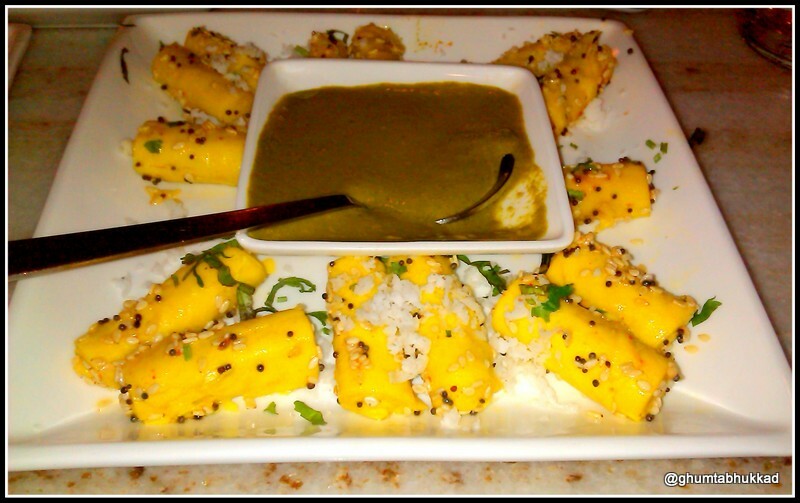 Khandvi – It was not par with our expectation , it has to be more softer than it was but the taste was good.We liked it nevertheless , sesame and mustard seed in it made it more delicious . 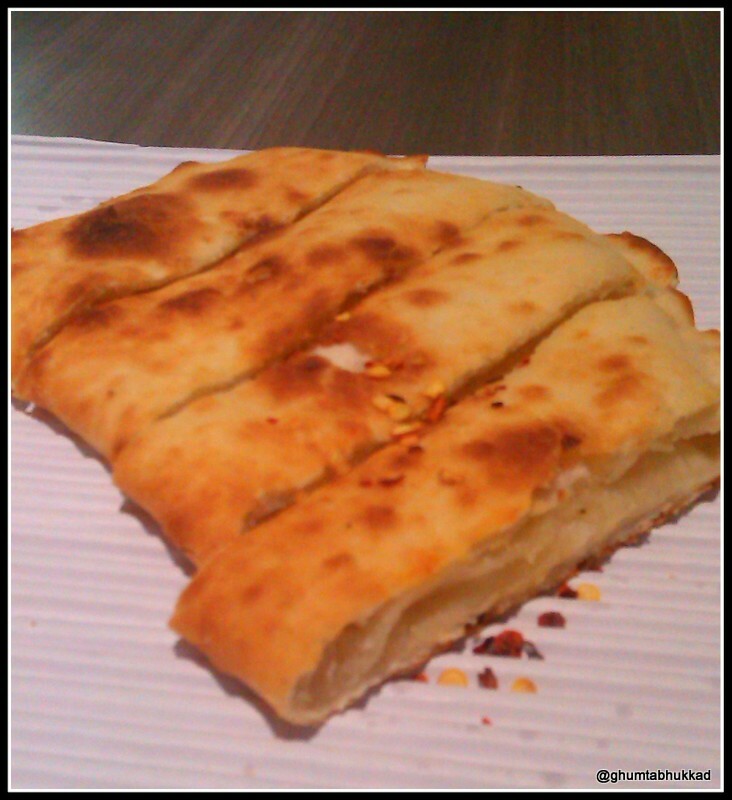 Fafda – This was disappointment as the masala was too much on it and taste was not as it has to be, the authenticity was missing. 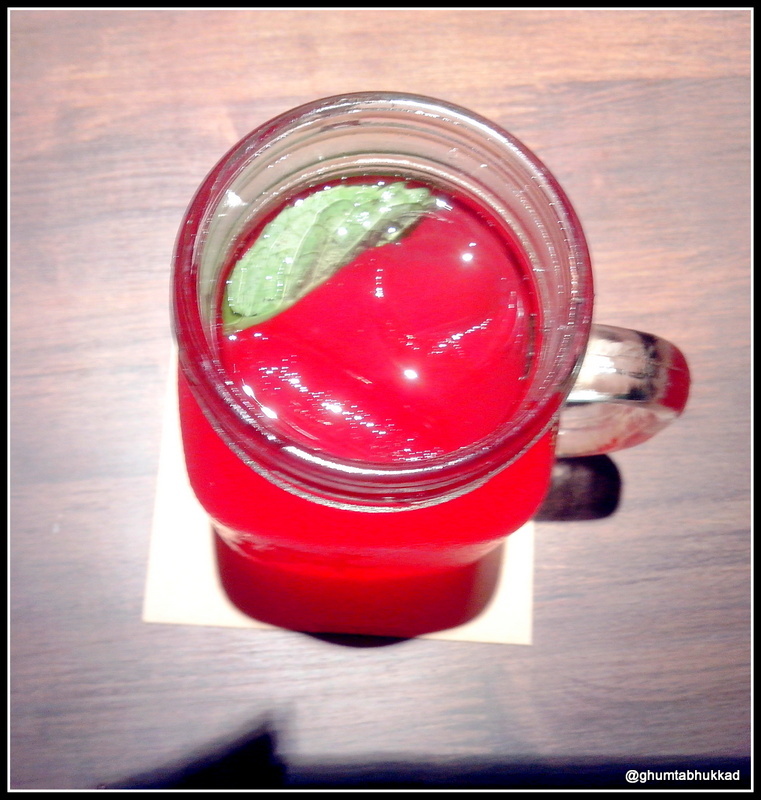 Kokam sharbat – The typical taste of kokum sharbat, simple, nothing extra in it and refreshing . 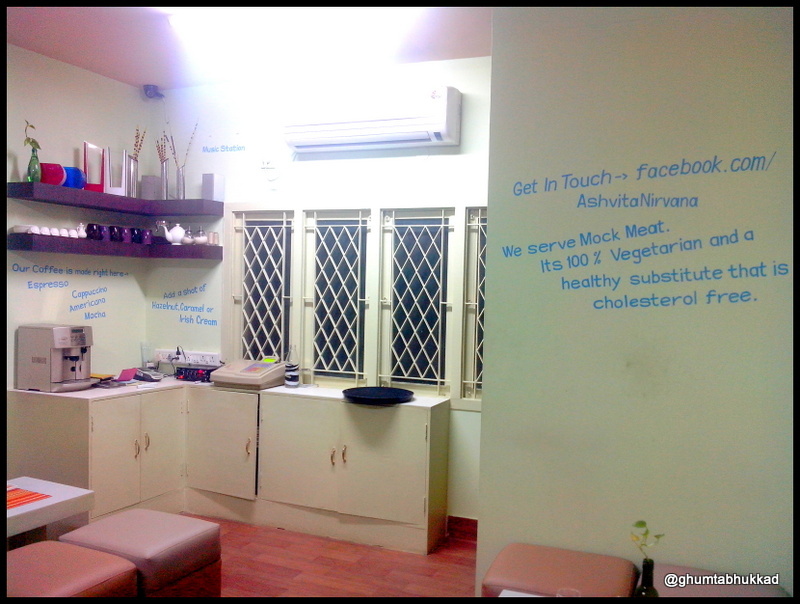 For us it was a perfect place to try Gujarati snacks but there is place for a lot of improvement, which they can do to bring in the ‘WOW’ factor. Note: This is not a paid review. It’s based on my experience of going there and we paid for our own meal. When we asked for Menu , it was something new. 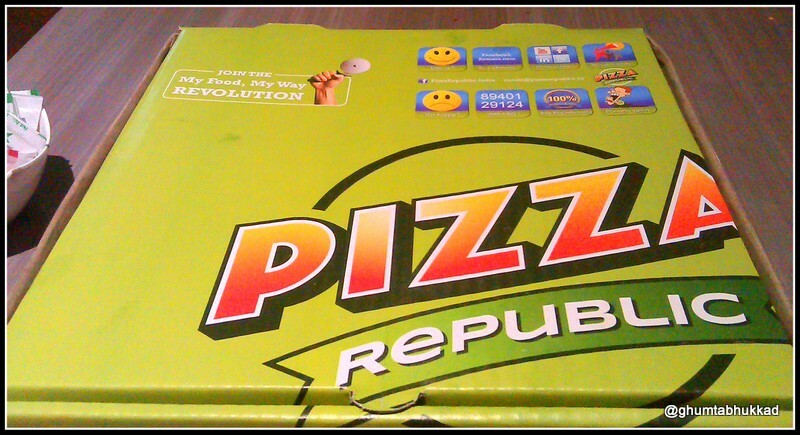 The box in which the pizza is usually served had the menu behind it. So you have to go through the list of all the pizzas and the ingredients and put a tick in front of it . 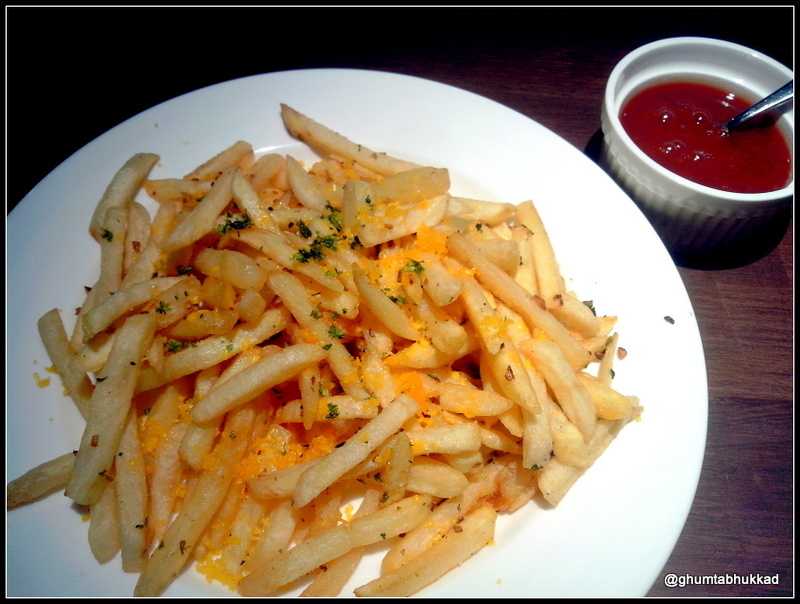 You can have your own selection of spicy/ non-spicy,normal cheese or extra cheese, in the topping they have various options to add on.There are also other options like Garlic bread , Salads, sandwiches to select from . We feel they should have more options in there menu , more varieties of pizza is fun.Once you are done with the selection of your pizza and toppings hand over the box to cashier and he will do the billing for you. Prices were cheaper as compare to other pizza outlets in the city but the Quantity is a little less with comparison.we were invited to cook our own pizza(That is the option they give) but it was too late and we were lazy to do so (we will go next time to try that for sure). 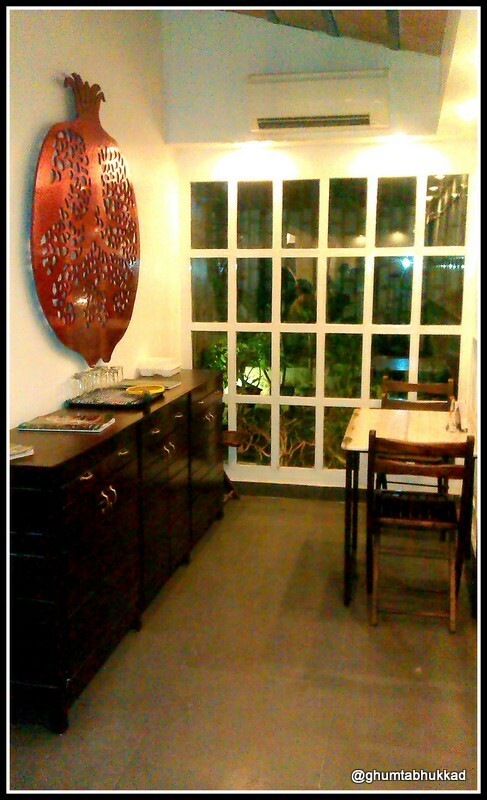 Then we were escorted to dining area , It was designed eco-friendly place and a comfortable arrangement. Garlic bread :- It was good, fresh and tasty, it wasn’t like the usual Garlic bread you get everywhere , It was thin and soft. 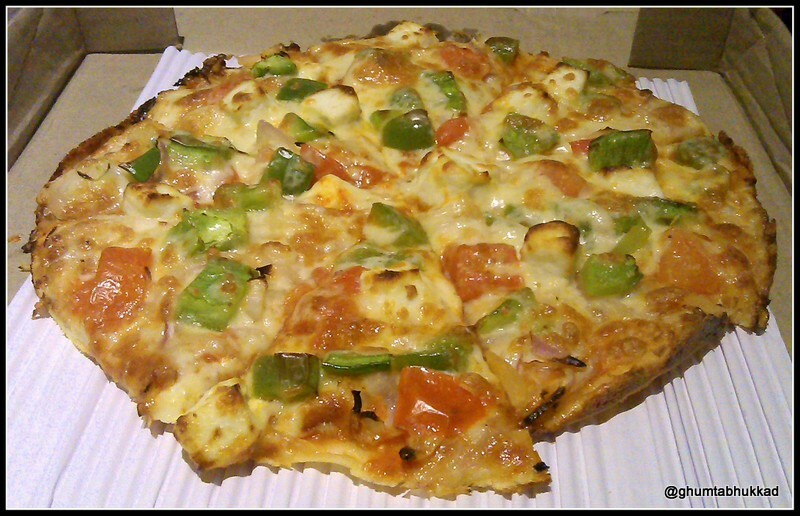 Veg supremo :- we chose thin crust base with capsicum, onion, tomato, cottage cheese and cheese . 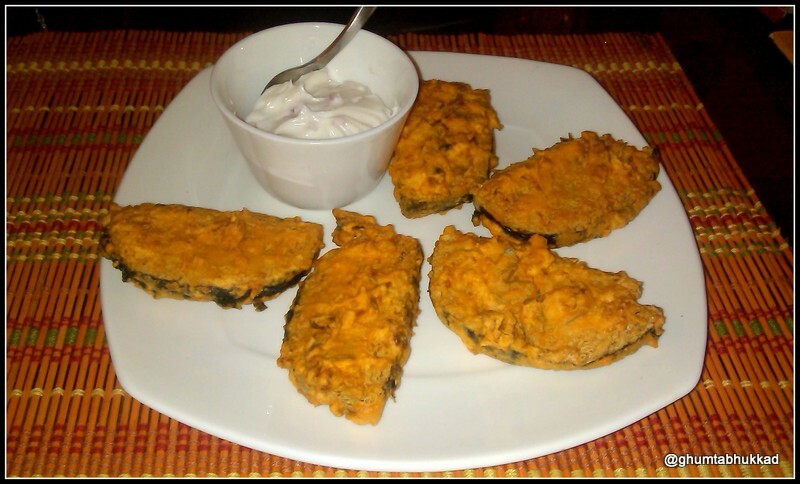 It was tasty , cottage cheese was very soft and fresh and overall taste was excellent. 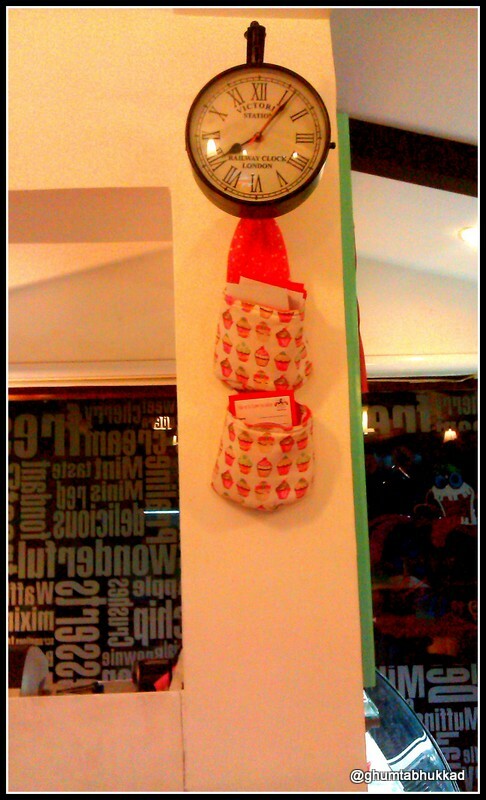 I will be going there again to try out more items from their menu and to concoct my own pizza. 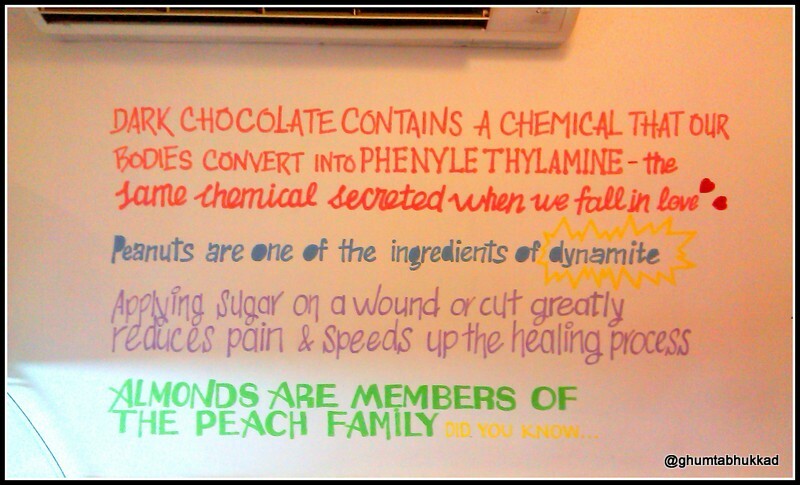 Note :- They also serve pizza in slice , but that is not available in Taramani branch. Also this is not a paid review. It’s based on our experience of going there and we paid for our own meal. 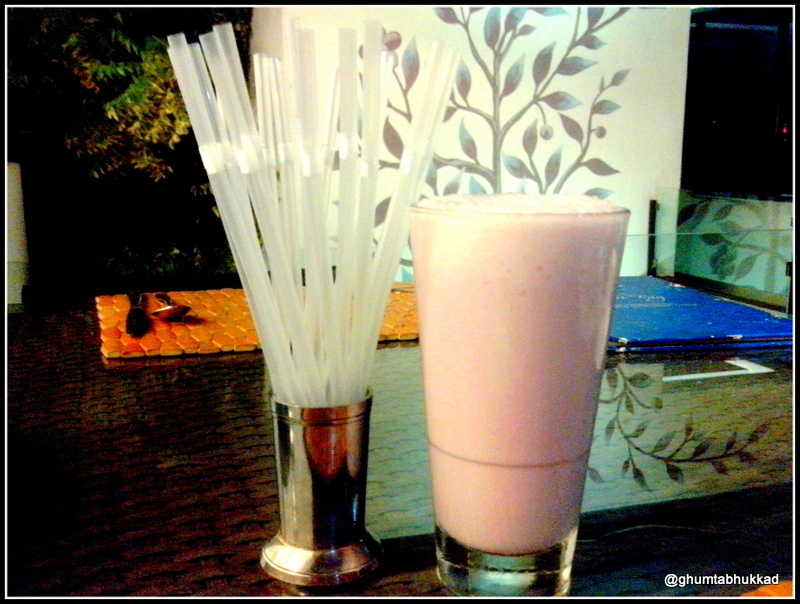 Went to Sugarush for the second time on Saturday evening as we had already fallen in love with the cosy little place in Besant nagar when we casually walked in the first time looking for a place to quench our dessert cravings. 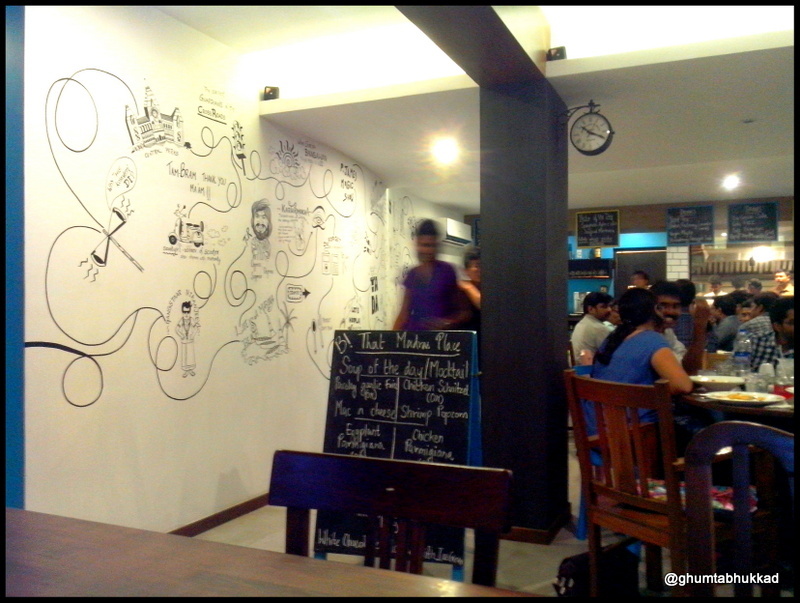 Although a small place, its ambiance is colorful, cute and just wonderful, the people serve with a smile and since we went on a weekend we had a lovely chat with one of the proprietors as well. 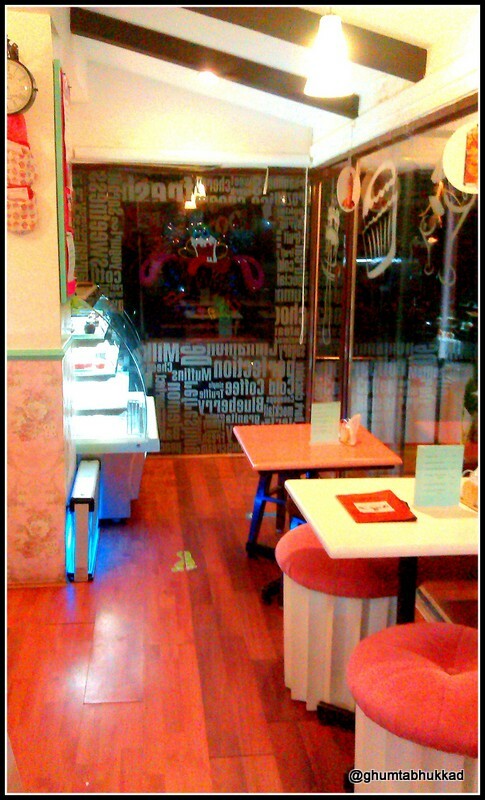 the decor is fit for the absolute sweet fantasy and a little escape from the mundane. Sitting arrangement there has a variety sofa’s , chair and cup cake shaped stool, also they have long stool arranged in lobby where you want to sit and enjoy your ” me” time, read book while enjoying the weather. 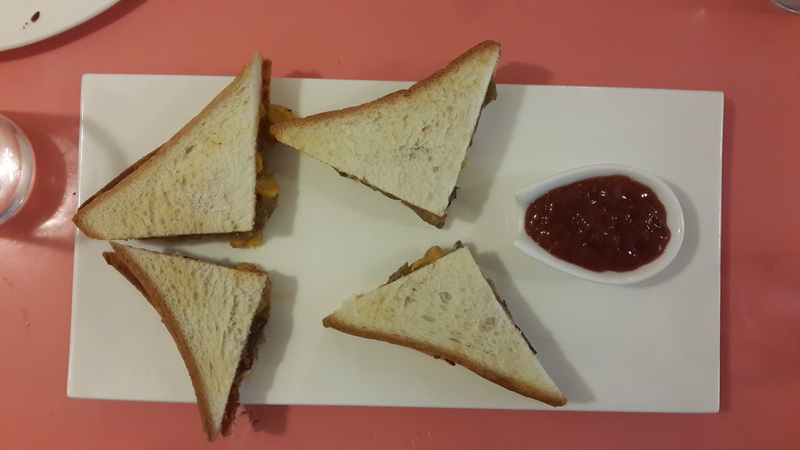 Cottage cheese sandwich – which was superb with tasty soft yummy filling inside and crisp toasted bread outside. 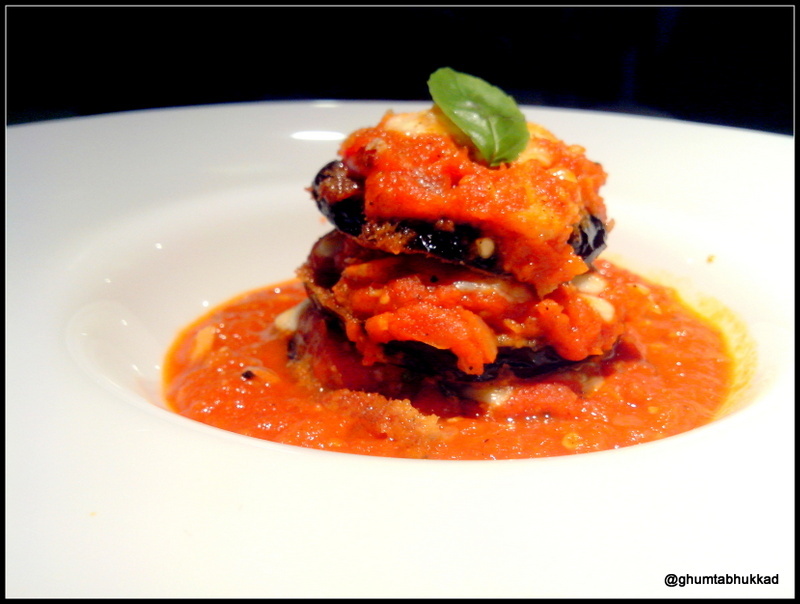 Mushroom sandwich – was a little too spicy for our taste but was tasty never the less. 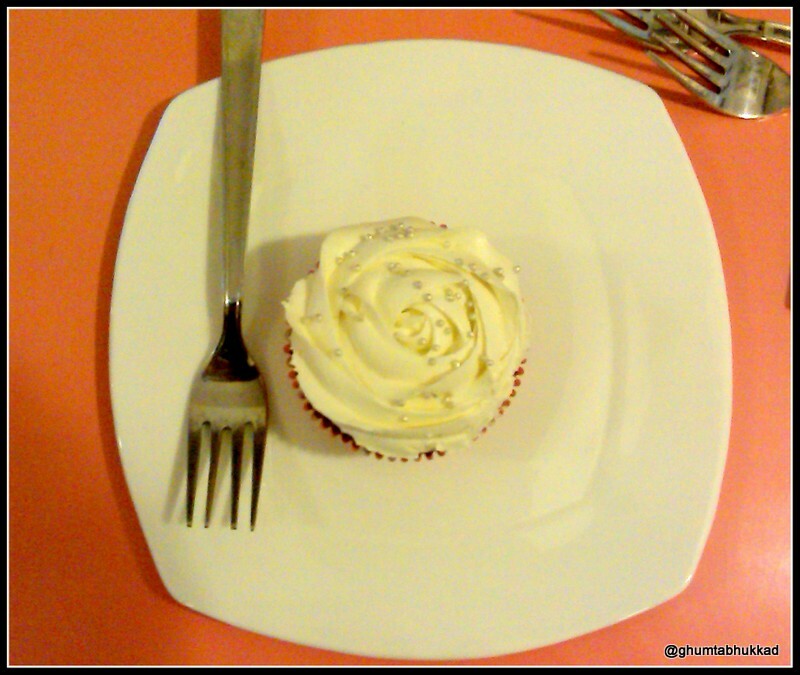 Red velvet cupcake – it looked delicious but on tasting lacked the super moisty cupcake i was imagining it to be. 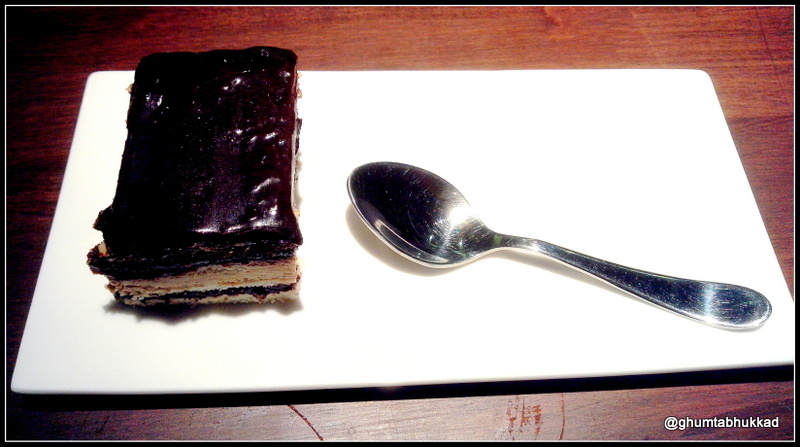 Chocolate decadent cake – it was perfect. 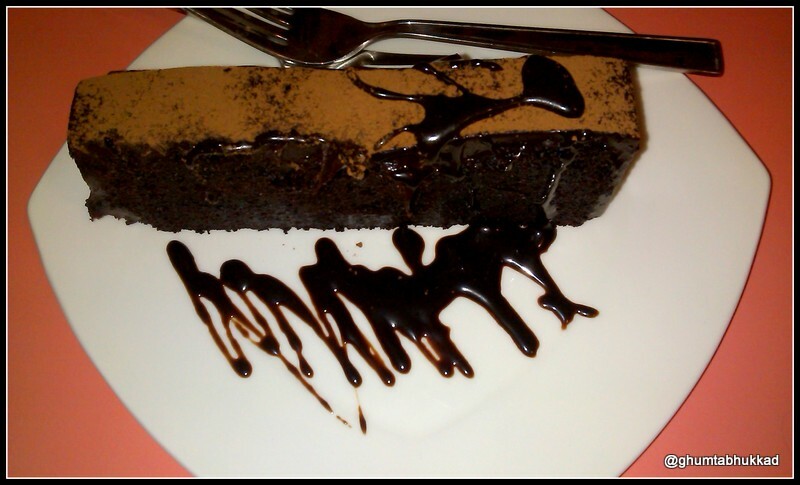 chocolate moist and not too sweet left us craving for more. Flavours of cold stone ice cream – strawberry ice cream with waffers and , mango ice cream with , lychee ice cream with berries and mint ice cream with Choco chips and chocolate sauce. 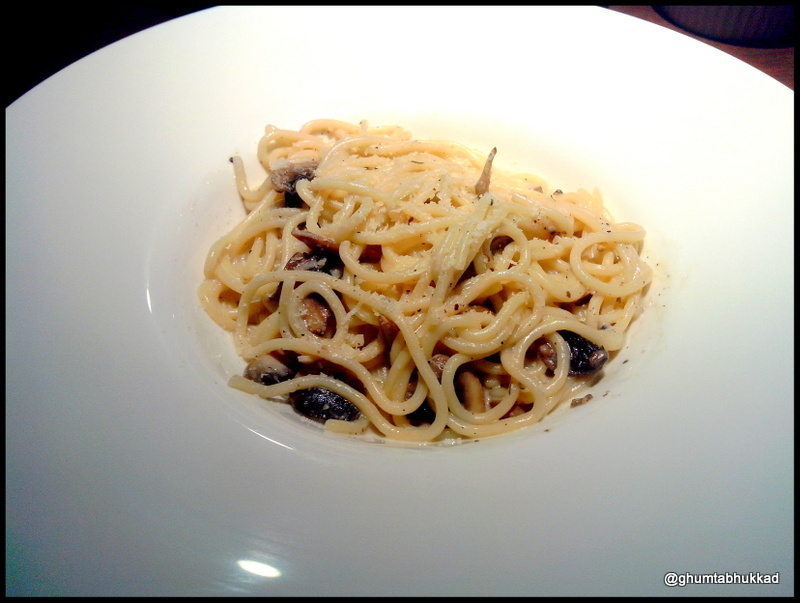 all of them were superb and their portions satisfying. 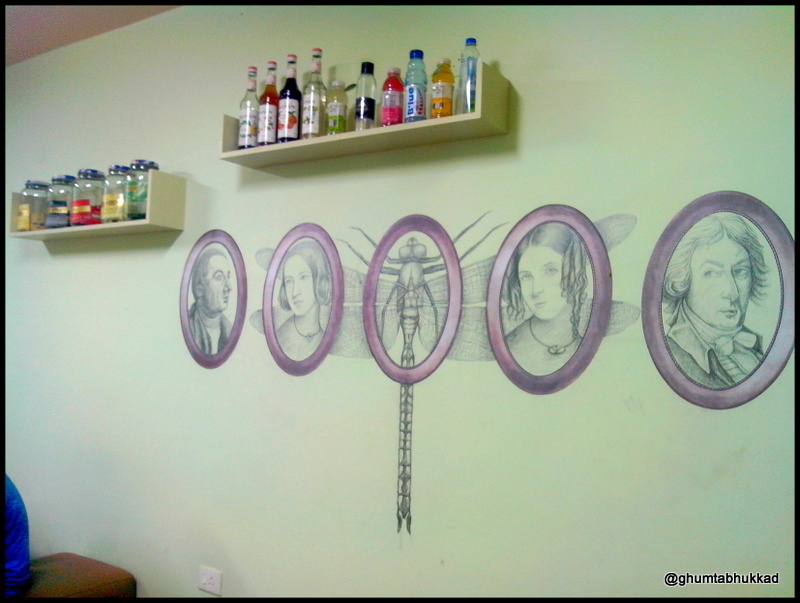 A high-end tea shop one of its type in Chennai. 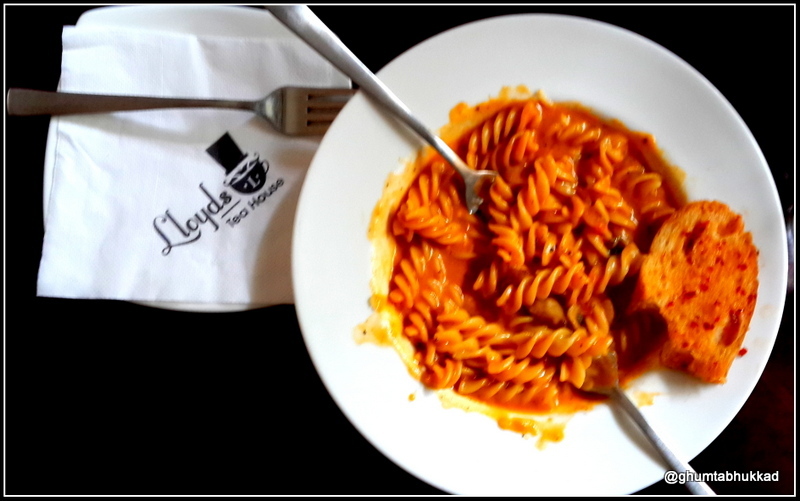 If you are passionate about trying different flavors of Tea (Hot or Cold),From the different part of the world with the variety of snacks to eat like pizza, pasta , sandwiches and a whole bunch of other dishes then “Lloyd’s tea Shop” is the place. In Gopalapuram near DAV school , a small 2 storey white colored building having a small artistic board written with the name Lloyd’s tea House. when you enter the building on the right side you find an old wooden bench (Probably kept there for the people waiting ) deceives you from what there is inside the Glass door. It was Sunday 10 ‘0 clock ( they have breakfast special on Sunday) . so We planned and went there. 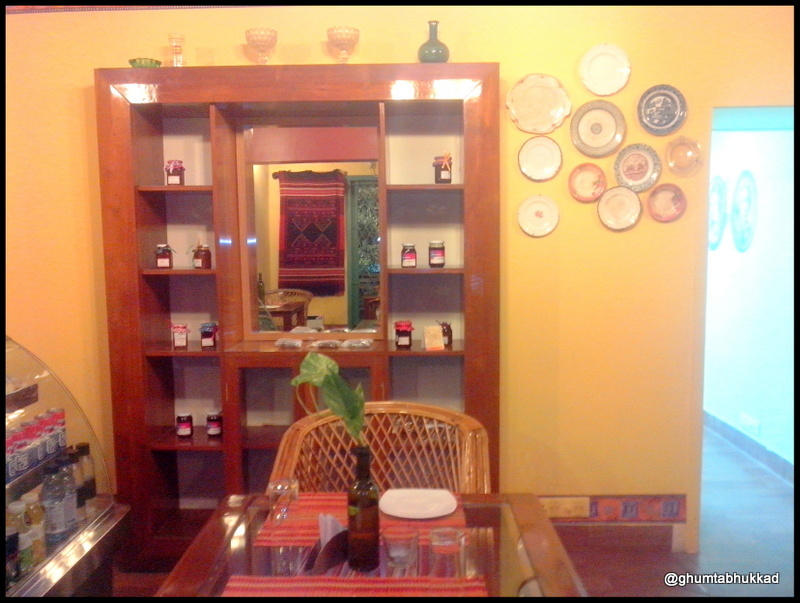 Place was soothing with the beautiful ambiance it will give you a feel of drawing-room of your house with the book racks, A beautiful showcase displaying antiques ,flower vase and crockery. 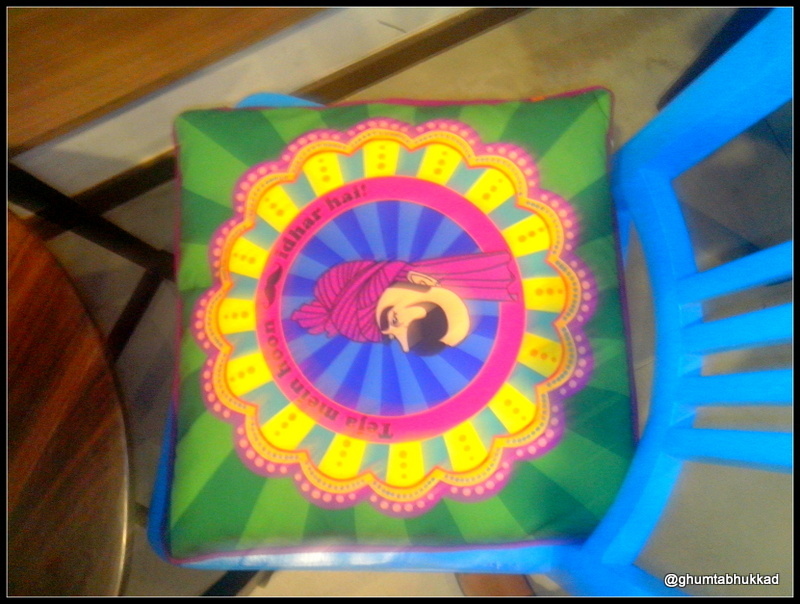 There is different table arrangement to choose as per our comfort from sofa’s and chair . 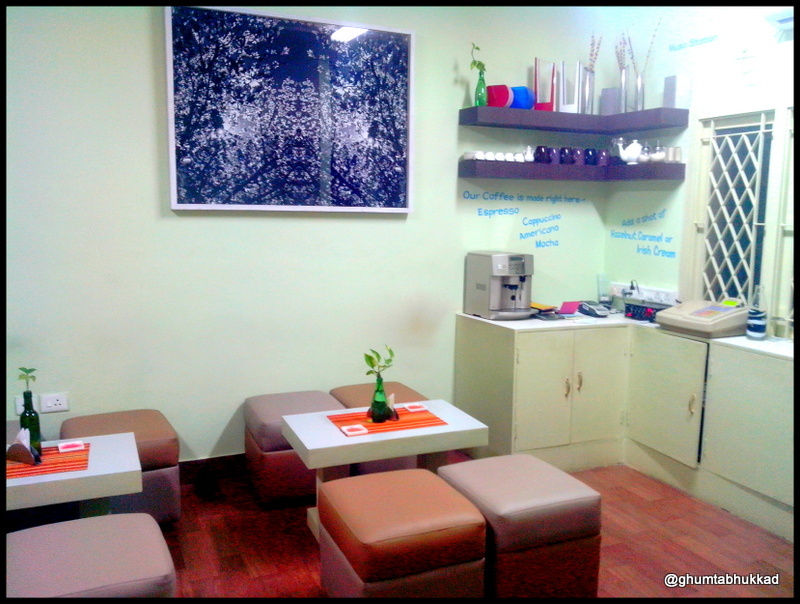 They have really worked on the ambiance of the place to give you soothing,relaxing and chill out experience. 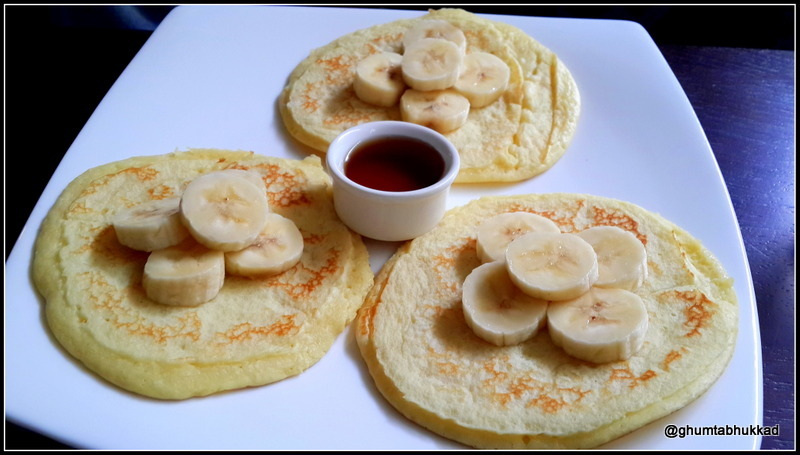 Pancake with maple syrup :- Pancake decorated with the pieces of banana was delight to eyes , taste was okay . Maple syrup was as usual good. Croissant with baked beans :- Both were delicious . 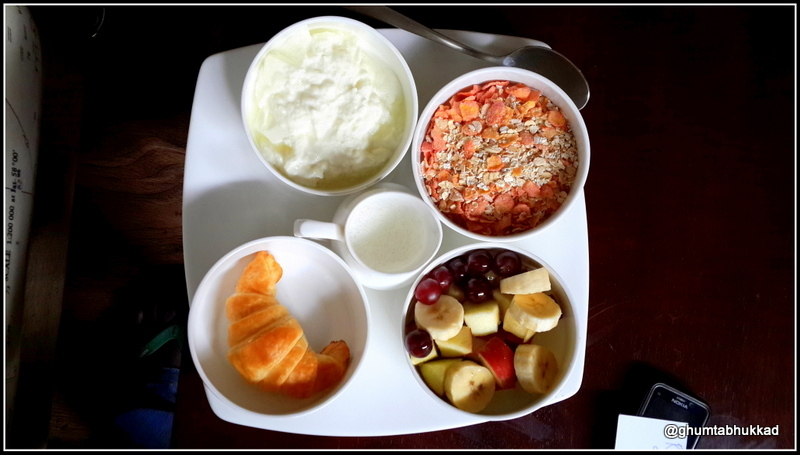 Fruits and curd :- Fruits were banana,apple,grapes which were fresh and curd was exactly the way you want. Once we were done with breakfast to our surprise we were treated with complimentary treats that of a flavored Croissant , a glazed doughnut and a cup cake they were tasty . Now to treat ourselves with the Tea , we again got lost in the menu’s with more than 50 types of tea, From different countries like china, Vietnam,India . 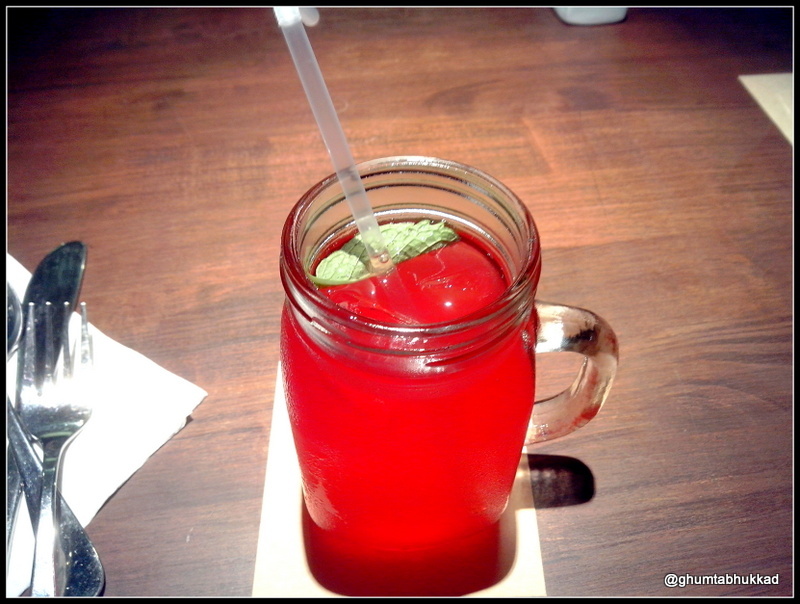 Himalayan Rhapsody :- It was an aromatic tea with the scent of different flowers and the flavor of fruits like strawberry and peaches ,perfect for someone who wants smooth and soft taste. it was the hot favorite in our group. .It is for someone who appreciates both aroma and flavor of different teas. People who really like the bold and strong taste of a tea. our excitement got doubled, the way they served the tea in the kettle on our table. They poured hot water in the little pots and gave us a timer for light , medium and strong tea. 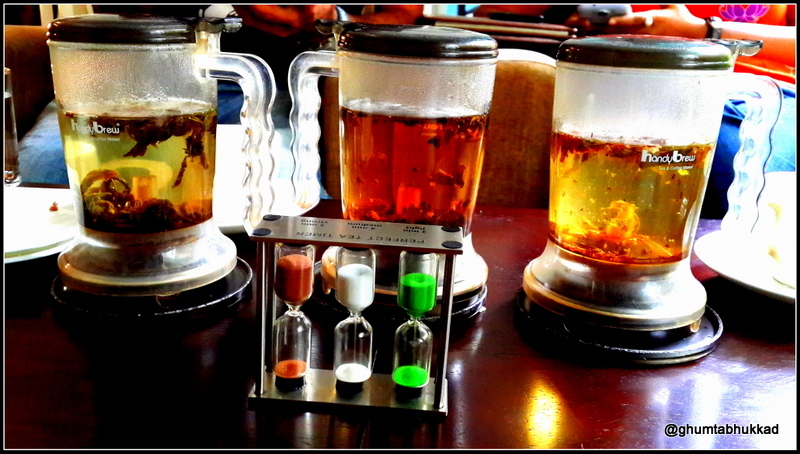 All the flavour of the tea were awesome , tastier and was more than what we expected. After the tea , we tried their Pink pasta with a piece of Garlic bread on the side .which was recommended to us and had it despite being full and it turned out to be one of the best pasta’s we ever ate. deliciously flavored with snippets of mushroom and mildly exotic condiments, it was a true winner. 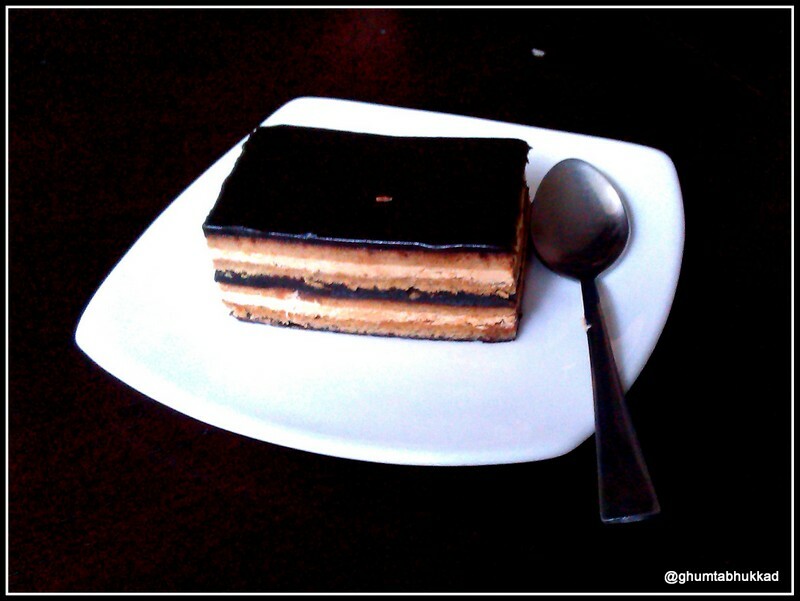 And at the last we were treated to yet another complimentary Pastry Called Opera which was a perfect finish to the whole experience . 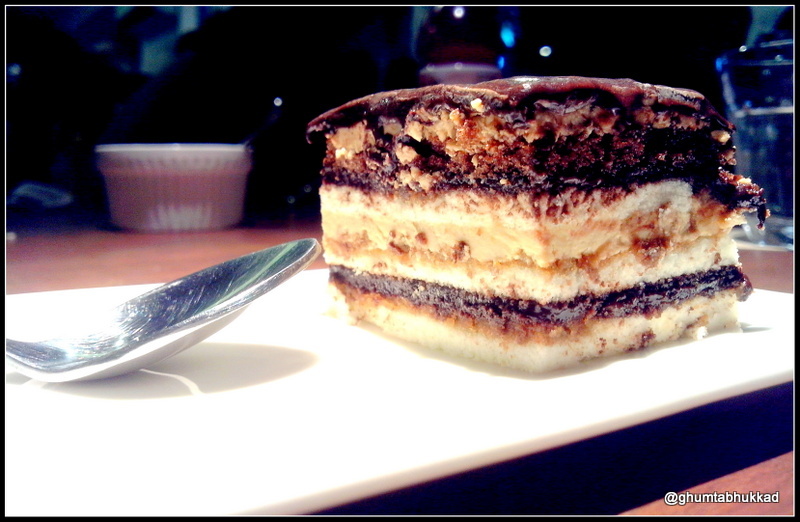 made up of a dense dark chocolate and layered with cream and coffee. it was delicious. 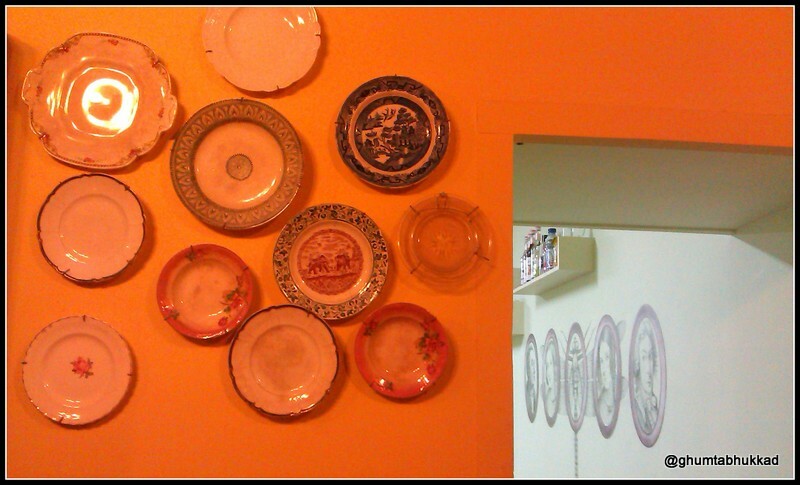 ambiance ,tasty food and a huge array of perfectly selected tea. 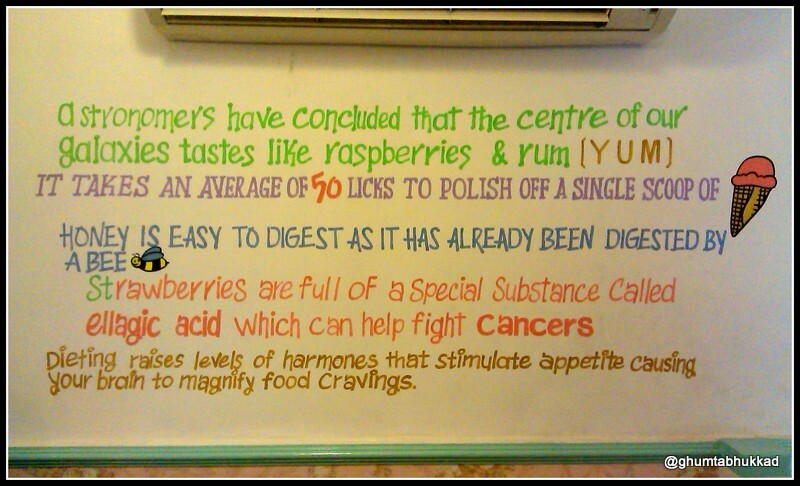 we are definitely going there for the second time to try out the menu and specially the tea’s. I won’t Call this place a Wow Place ,It was okay. 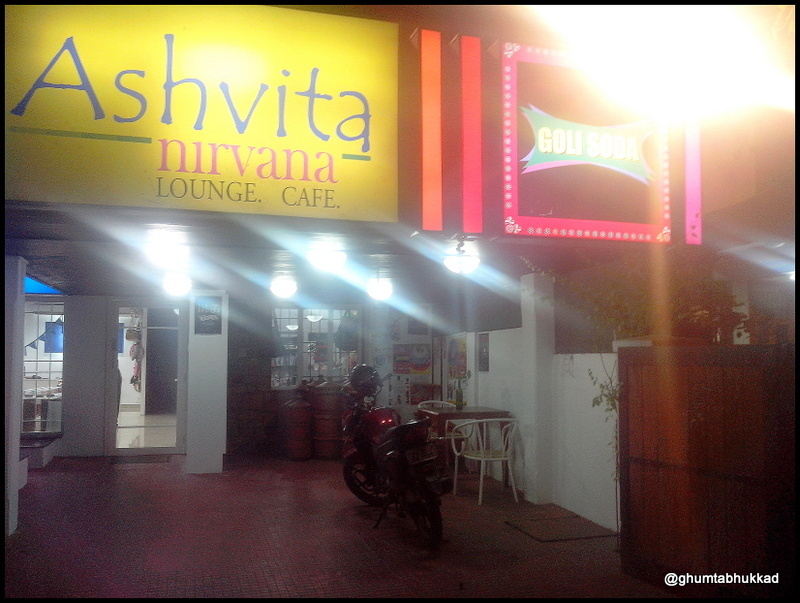 If you are in Nungambakkam near Haddows road or near Income tax office then you can visit this place. If you want to eat Chinese or Punjabi , This is the place to go. 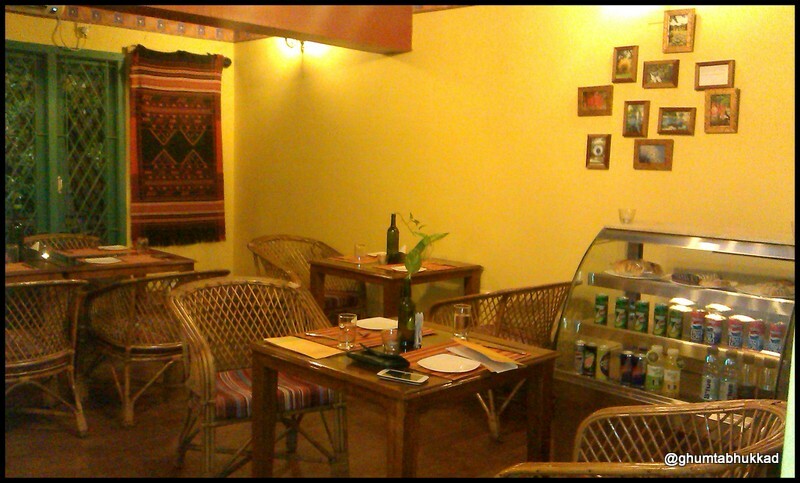 Dhaba Express serves Buffet as well as Ala-carte. You have to climb 3 dark and a very narrow stairs to reach this place ,It’s in aldarado Building. Interior there is Good It’s replica of an old city Delhi , by having name of few squares on the wall.one thing which impressed me about their ambiance was the photos they were having on their wall. Later I regret why I dint click them. 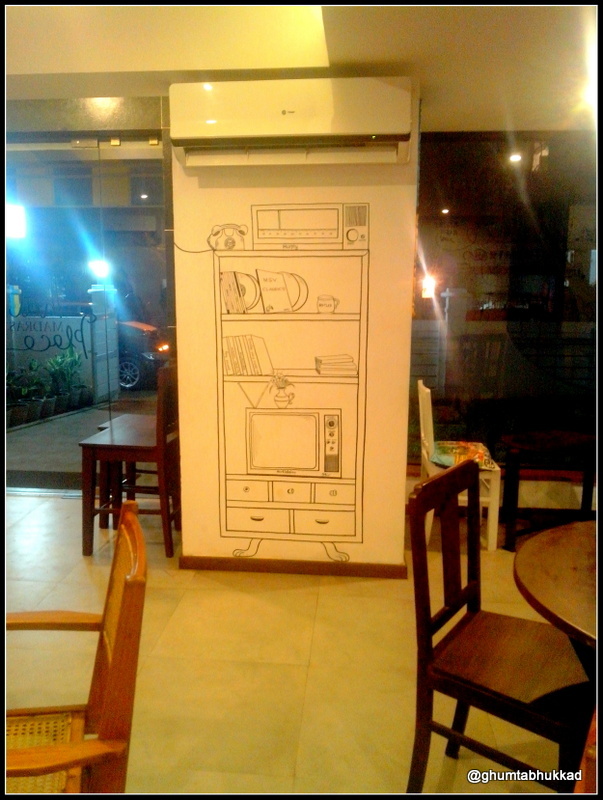 Its Air-conditioned(Only for Ala-carte) as well as Non-air conditioned. When I went there day was overcast so It was good. I feel on a hot day it will be a terrible to have your lunch there. Buffet was looking Good and seems value for money. we were bit disappointed but then there were few things which satisfied us. 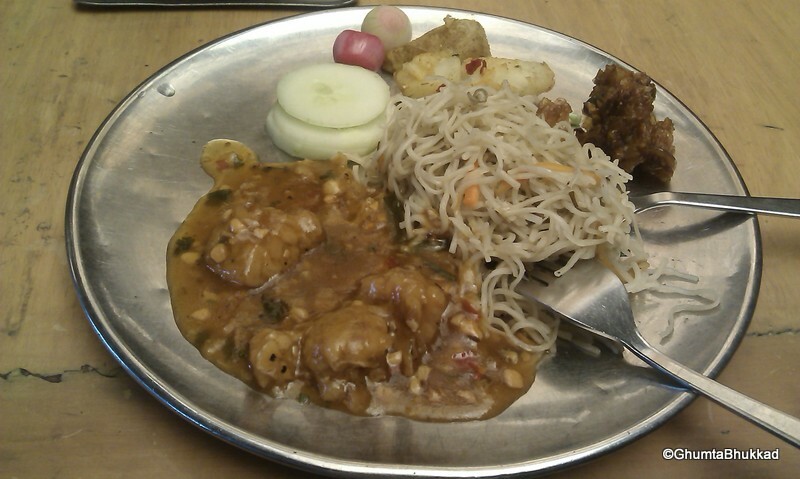 Manchurian, Noodles which was okay , I will not rate that as one of the best. 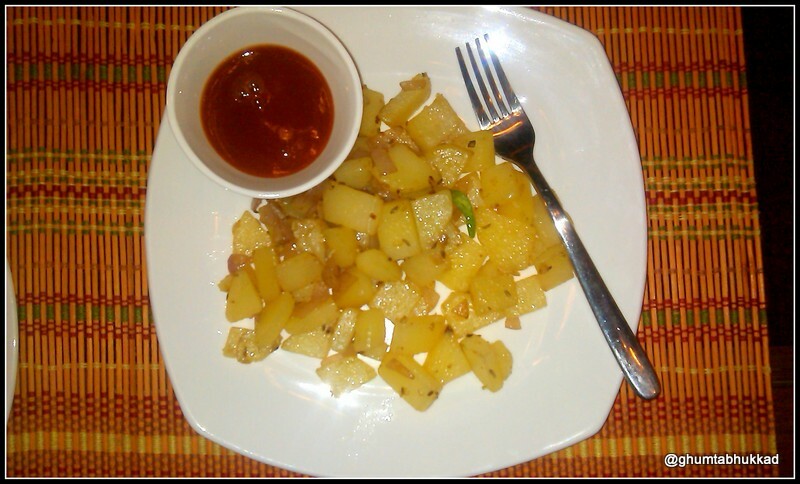 additionally there were Potato wedges, Onion Pakoda Both of them were Disappointing as they were not Hot. 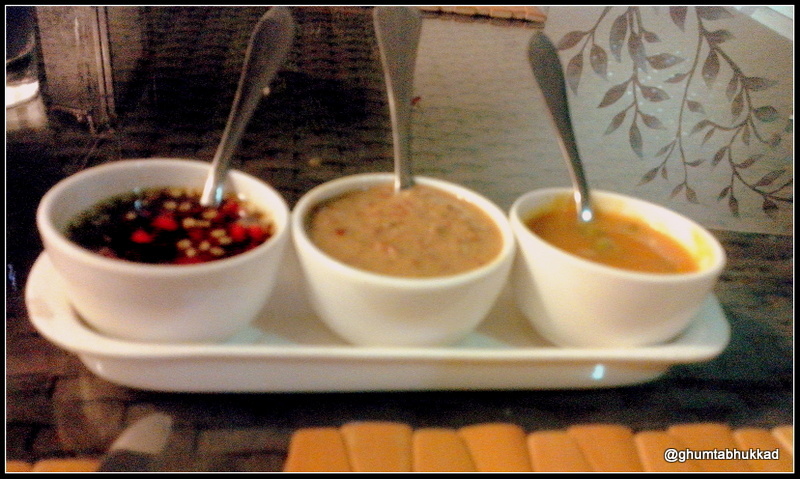 2 sabji,Palak panner and Chole which tasted good , 2 Daal , Dal Makhani and a Dal fry .Bundi ka raita was perfect. 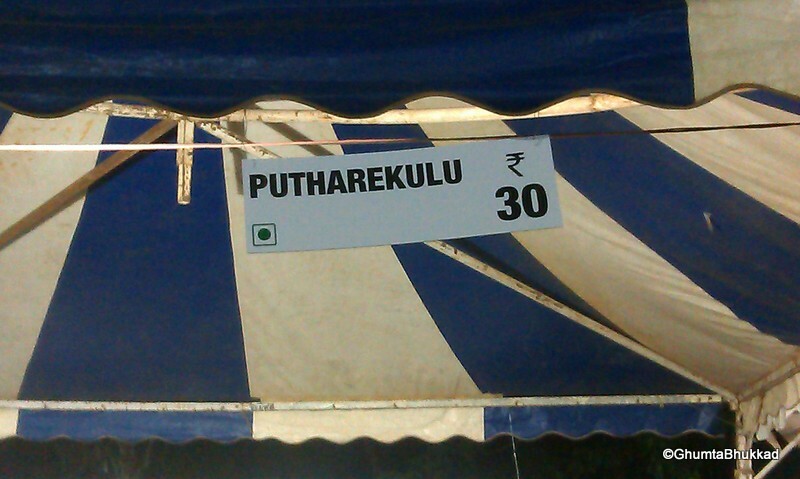 They were serving hot Khulcha and hot Puri which made me happy and turned my experience of being there better. For sweet they were serving Jalebi which was awesome. 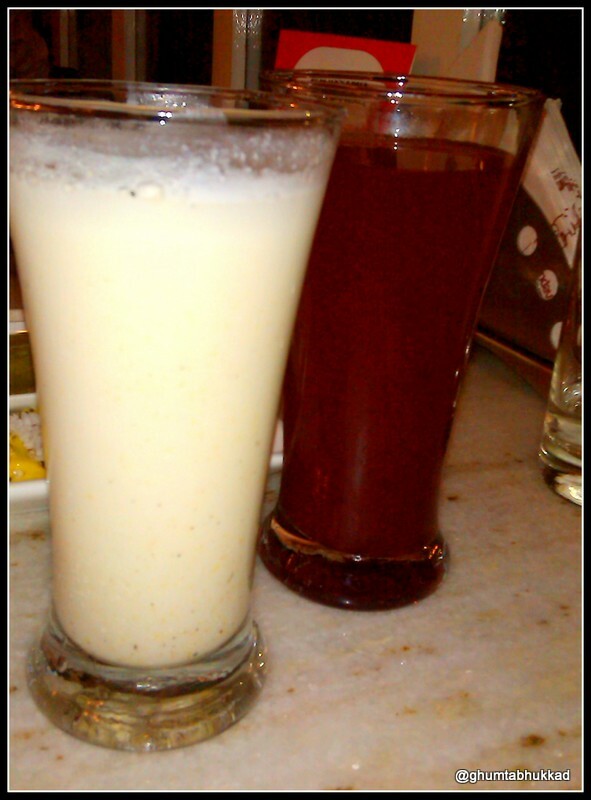 Also they will be having Butter milk, Mango lassi (seasonal) and Lassi. 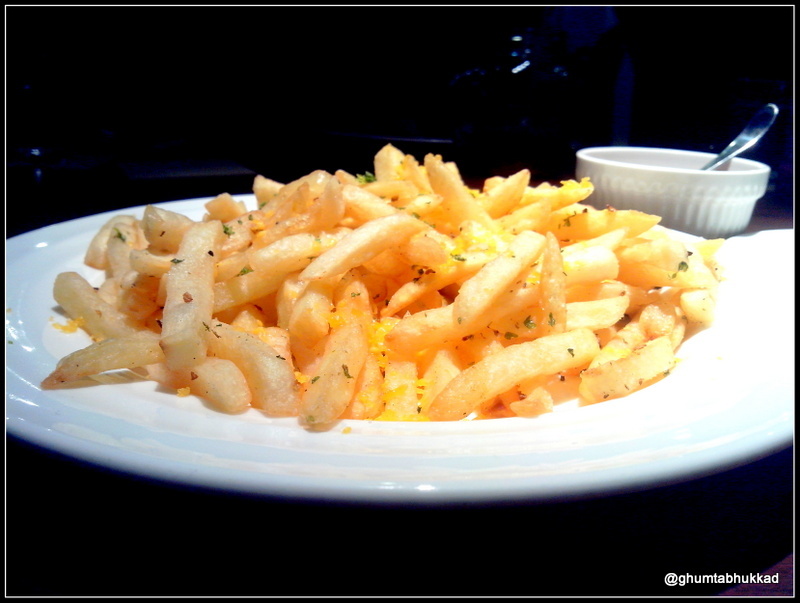 For which you have to pay extra.It will not be included in your Buffet Charges. We selected mango lassi it was good. I may go there next time. For the all the people who are in Chennai from the northern, western part of India , their craving for Panipuri will always be un-satisfied. 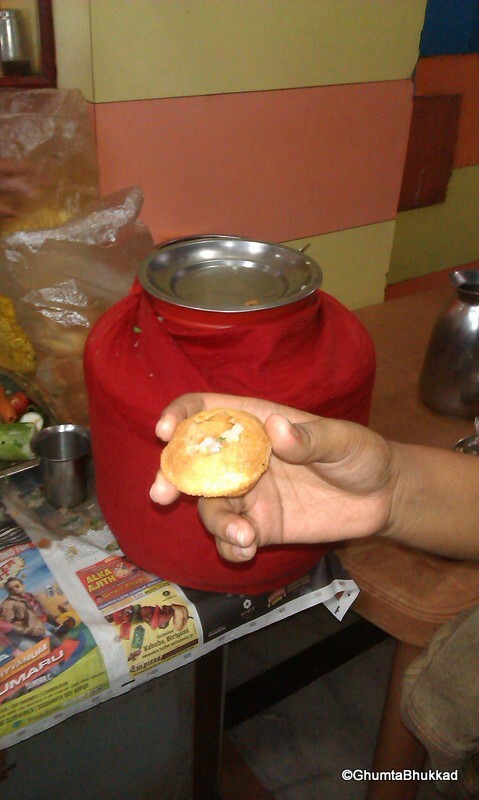 So here is the review for one of the best pani-puri or gol-gappa in Chennai,which I have tasted up till now. Om madhuri chat in Thiruvanmiyur, sea ward road, near Singapore super market. Pani puri here will have flavour of North India. Puri will always be crispy . 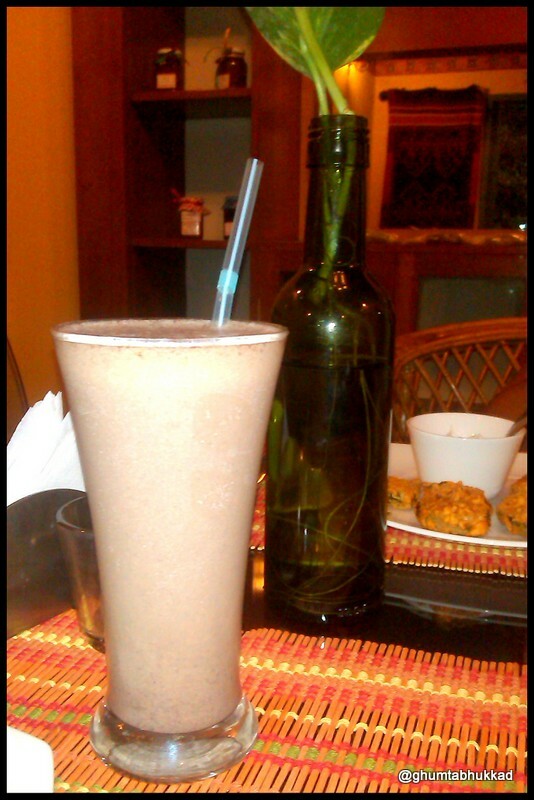 Pani is one of the best I had in Chennai up till now. 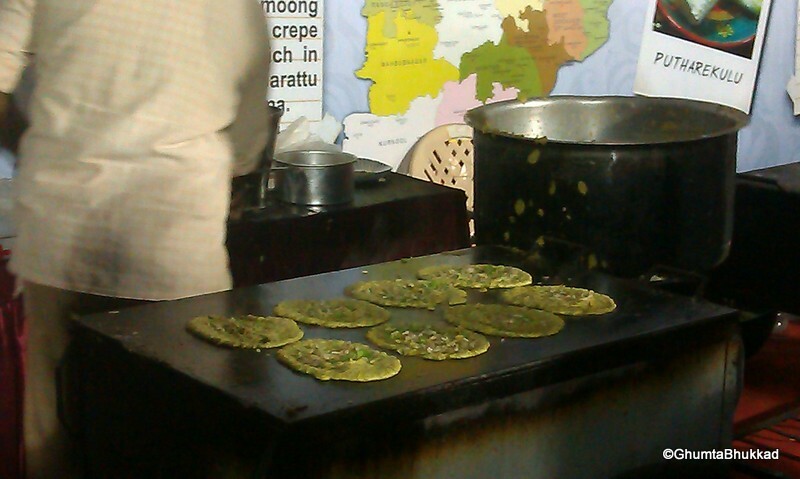 Pani will have pudina, bundi , chilli with the Aloo stuffing in puri. Along with Pani-puri They also serve regular Chat like Bhel puri, Dahi puri, Dahi bhalla samosa chole and it was all satisfying. Service – Depends on the People waiting Generally it’s Quick by a smiling Guy who serve. Note: This is not a paid review. It’s based on my experience of going there. Imagine a place where you can get food From different states of India like Gujarat, Maharashtra,Andhra,Tamil Nadu ,parathe from paratha gali and Tunde k kebab from Lucknow. yes everything at one place , that too in Chennai . 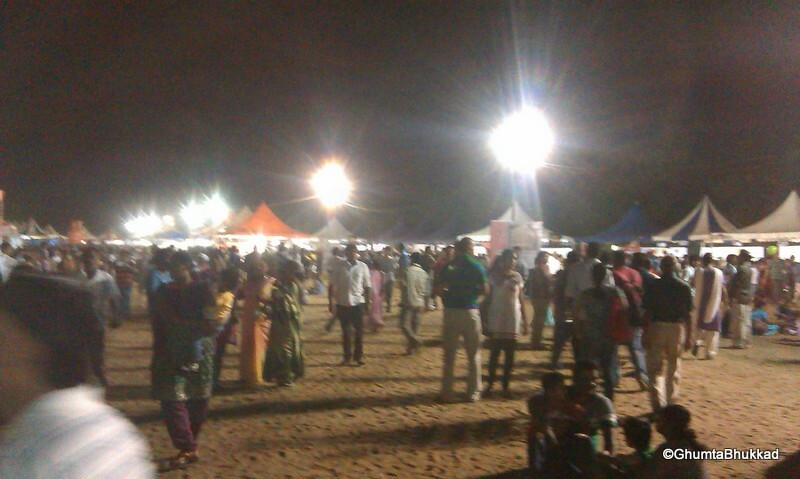 we were going there for the second consecutive year , Last year it was in Besant nagar which wasn’t that great as it was in a very small area (I think last year they were not expecting so many people) this time as they were claiming it to be the largest Street food fest in India, They took it to bigger Place Island Garden near Marina beach. When we reach there I was happy that they had Good parking arrangements that was a relief. Then the real tough task was of Buying coupon. A huge Queue,Though there were 6 counters but that was not enough for the crowd which they were able to pull this year. 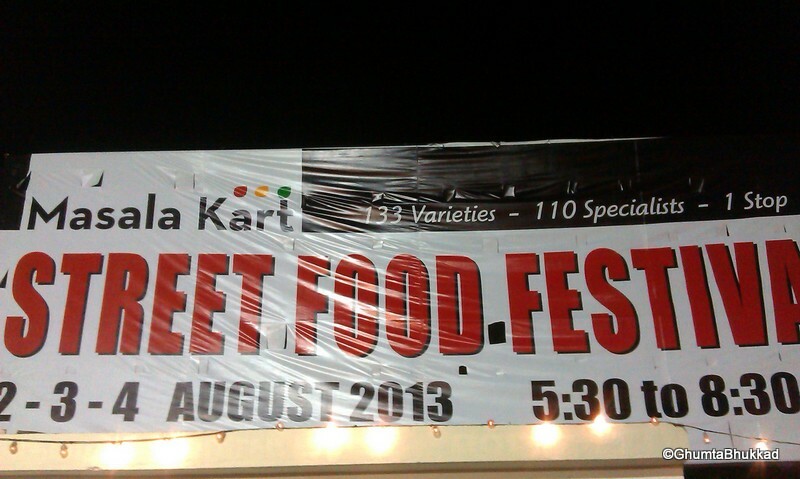 Entry fees were minimal, 50 rupees entry coupon and you have to take 50 rupees food coupon , which is okay. 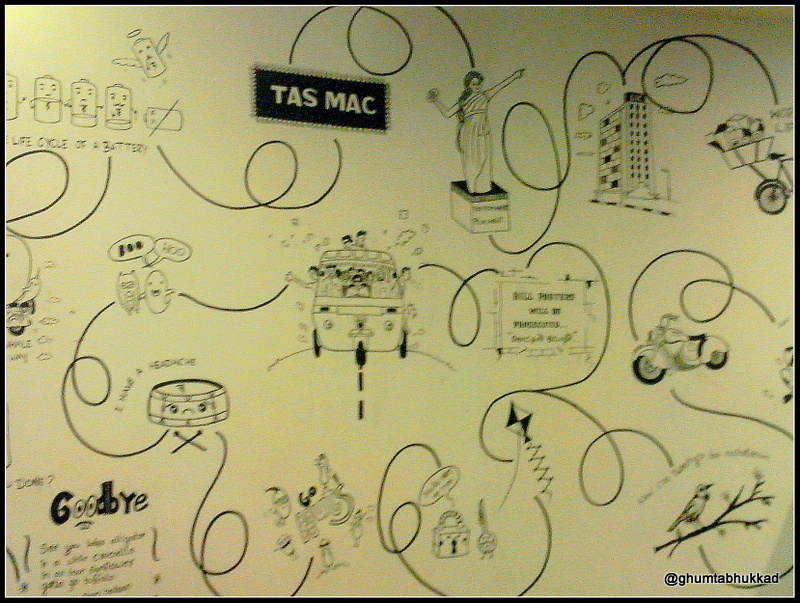 Once you enter the place it was heaven for a real foodie.Aroma of a food and a happy faces was all around. I was totally confused from where to start , what to eat first . This year it was better planned than last year because they had number of stalls which were selling food coupons inside which was not the case last year. There were 6 different domes. out of which 2 were Non-vegetarian while 4 were Vegetarian. List of items they were serving were endless , more than 100 cuisines .Prices were at the higher side but that is expected so no complains. A high level of hygiene was ensured. 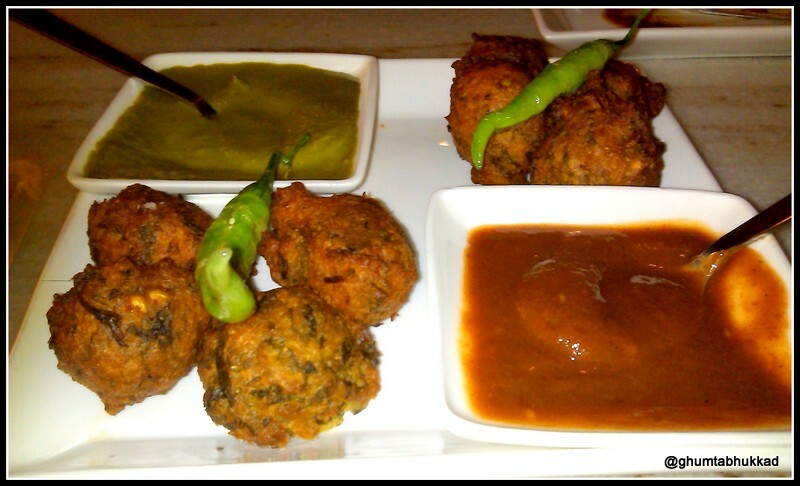 Pav vada – It Was good but very small . Misal Pav – It wasn’t exactly what I was expecting So total disappointment.Even the worst misal pav in Mumbai will be better than what was served. 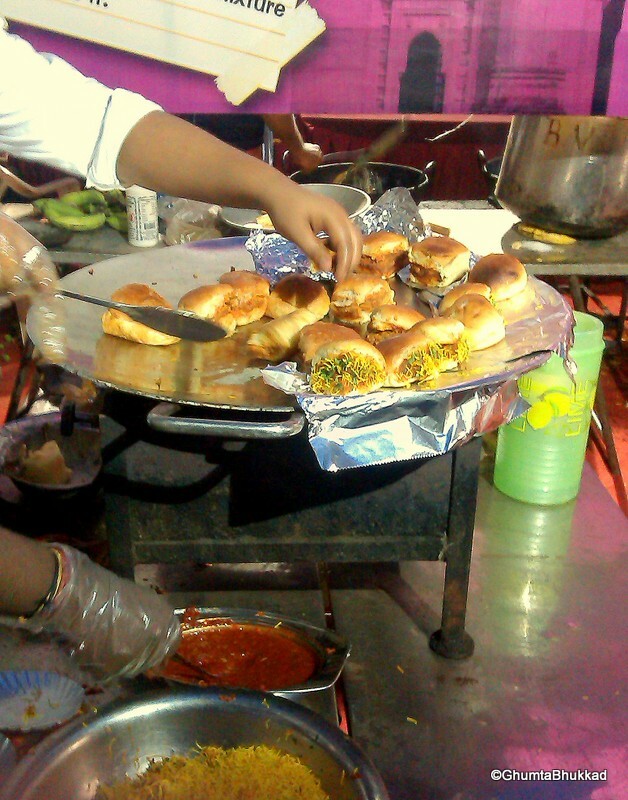 Dabeli – It was good , Spicy very spicy. I never had so spicy in Gujarat they would have made it better. 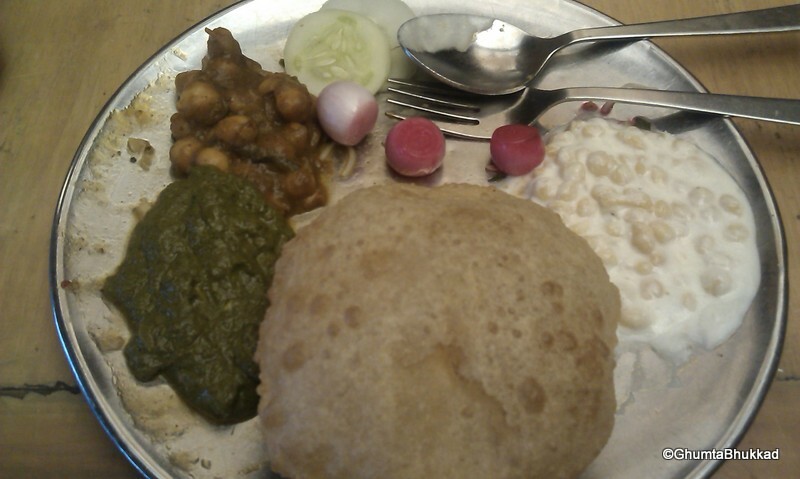 Ragada pattice – Total disappointment , they call it Ragada but It was Chole. 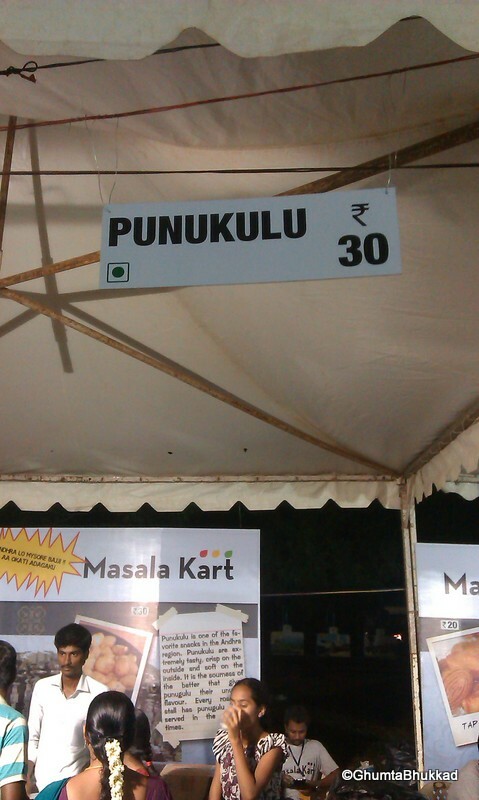 punukulu – Flashback of my Hyderabad days,It would have been better if it was hot. 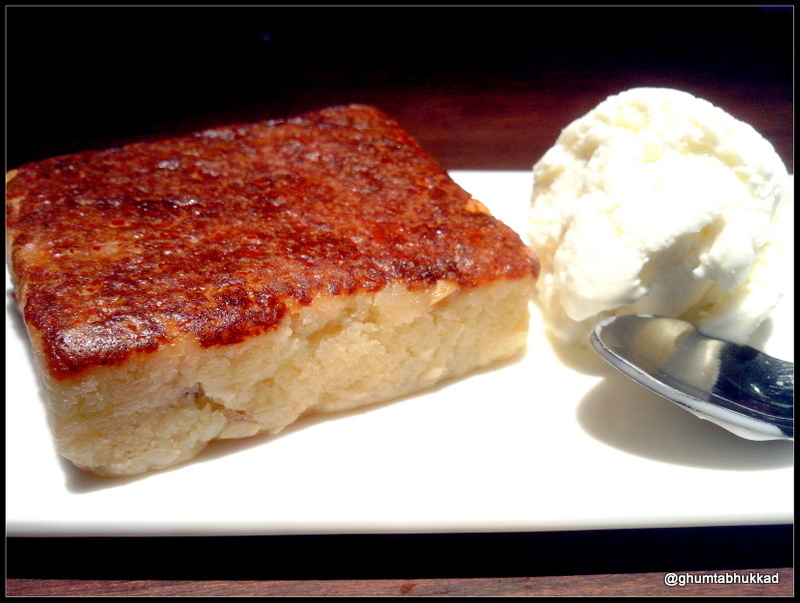 putharekulu – A sweet dish from Andhra tasted for the first time and I must say now I am craving for it. 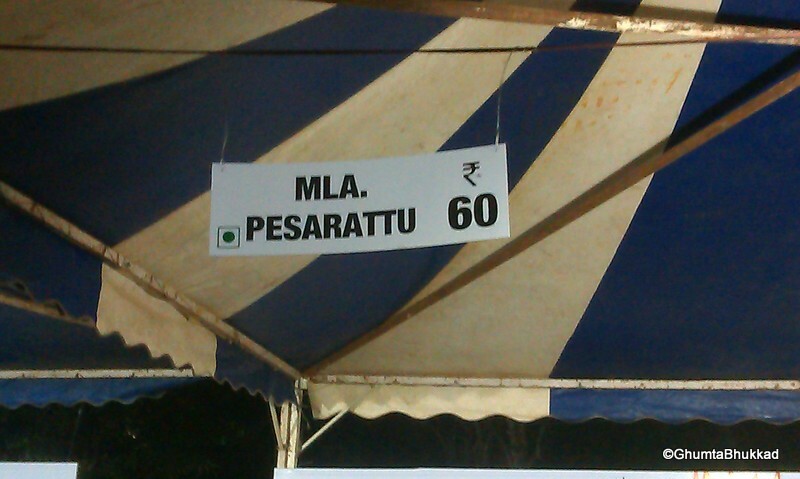 MLA Pesarattu – I must say it was the best item of the day. 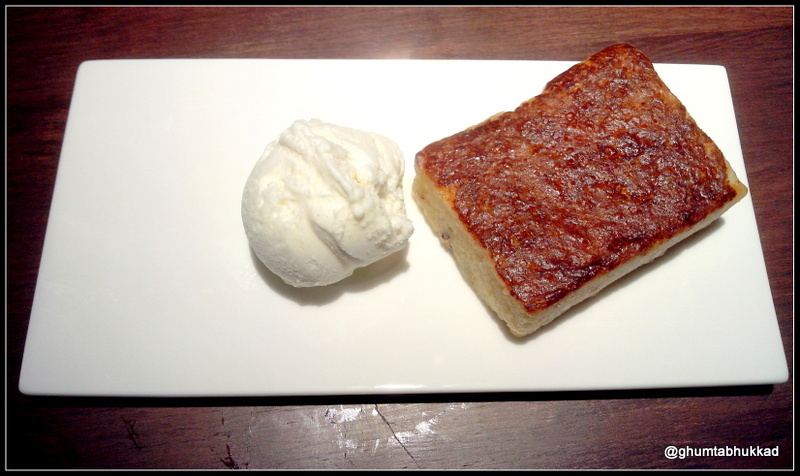 Malpua – It was as expected served hot. 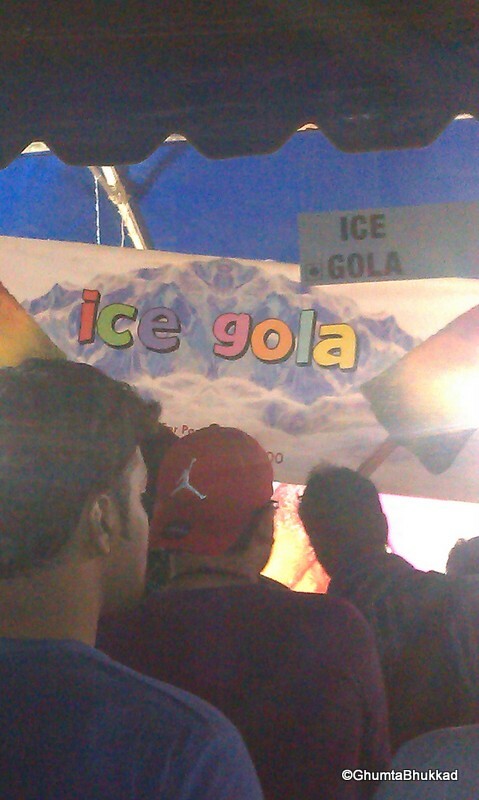 Ice Gola – This stall has the longest queue , It clearly shows that in Chennai we don’t find Golawala easily. 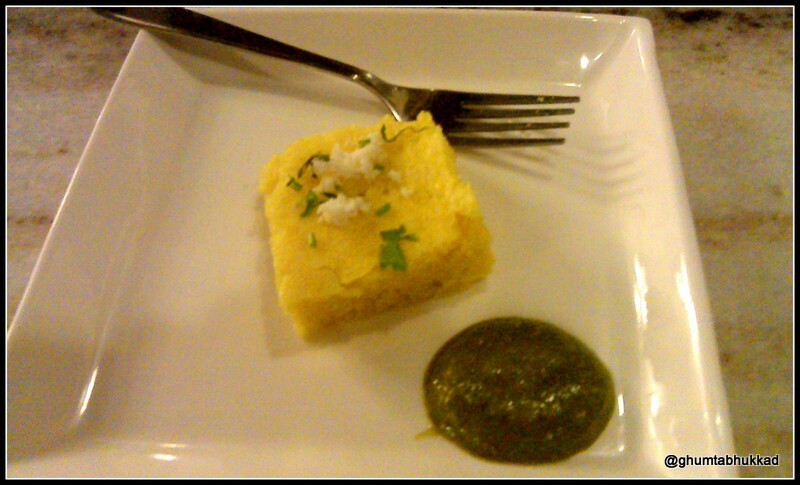 Additionally there were Dhokla, Chat items and many more to add into this list. Looking forward to many such food festival in Chennai . Definitely I will be the first person to be there next year.